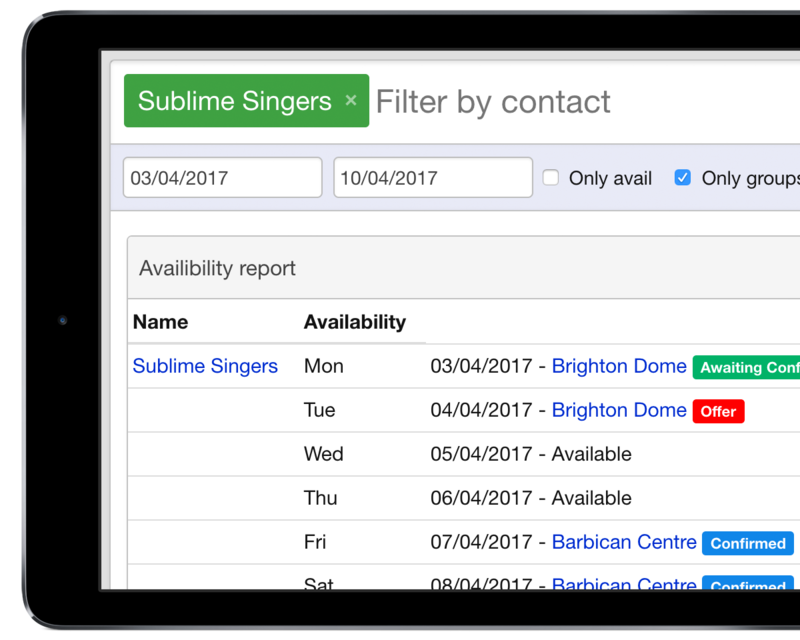 Enquiries can be read directly from your website, automatically updating Overture and helping you keep track as they progress to bookings. Overture can automate messages you send to acts or clients at various stages of your booking process. Configure these messages to work as you like. "Overture is the best business tool we have invested in, bar none. It's easy to use, we can track enquiries and do bookings very quickly. Customer service is excellent, I highly recommend the software." "Overture has replaced five separate software packages in our day-to-day business activities. It does all they used to do plus more, it's completely revolutionised the way we work at hireaband."